Water cooling system Club System rigid box - The CoolShirt Club System 24 provides up to 6 hours of cooling time. Ideal for those racing applications where space is not as much of an issue and the races may run long. Versatile enough to be perfect for everything from road courses to oval track racing, the CoolShirt Club 24 System keeps you cool and alert for the entire race when going the distance really counts. 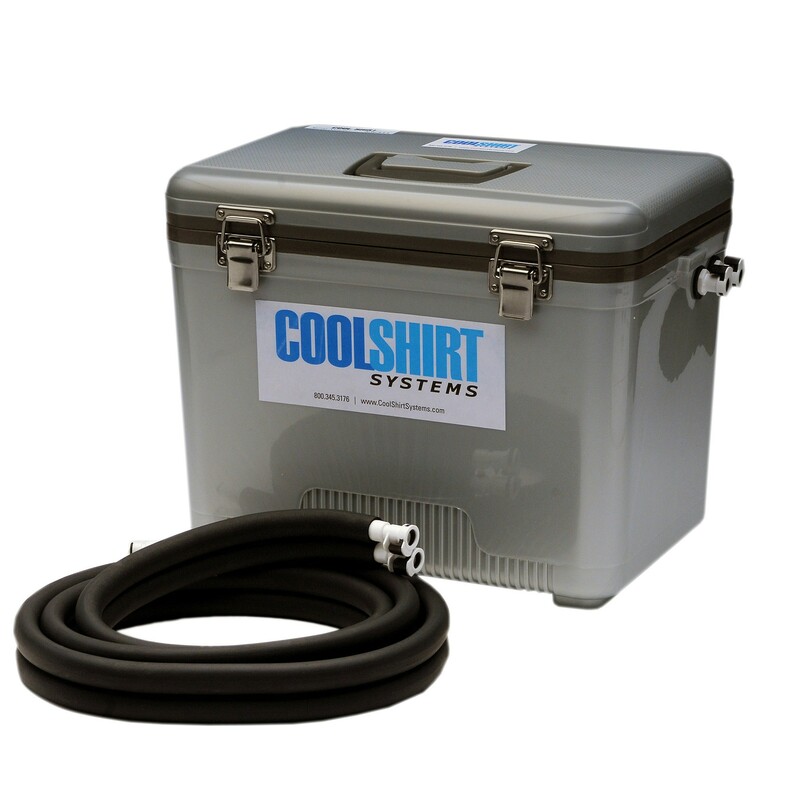 The CoolShirt Club 24 System comes with a 23 lt capacity cooling unit with an internal pump which supplies water to the cooling underwear through 3 mt of double insulated hose with automatic shutoff / quick disconnects. It can be also fitted with optional Flow controller (to be bought separately) for optimal control of cooling performance.